QUETTA: Pakistan Tehreek-e-Insaf’s presidential candidate Dr Arif Alvi on Wednesday said the conception of new Pakistan is not possible without removing the feelings of deprivation from Balochistan’s people. He expressed these views while talking to media when on arrival at Quetta airport. Federal Minister for Defense Pervez Khattak, PTI’s Jahangir Tareen, Deputy Speaker National Assembly Qasim Khan Suri and PTI Balochistan’s leadership were also present on the occasion. Dr Alvi thanked Prime Minister Imran Khan and allies for reposing confidence in him to contest the presidential election. Dr Alvi hoped that he would win the presidential election with majority. Despite this, he was determined to converse with assembly members of all political parties and convince them for presidential vote. 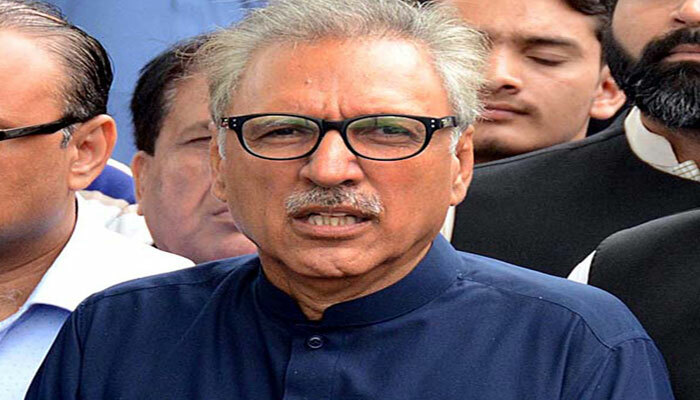 Presidential candidate Dr Arif Alvi said that Prime Minister Imran Khan has guaranteed to remove Balochistan''s deprivation. Balochistan National Party Mengal’s Chief Sardar Akhtar Jan Mengal is not present in Quetta city but we will consult his party members regarding presidential election, said Dr Alvi. In response to a question, Dr Alvi said that PTI would contact all political parties and independent members of Balochistan assembly for support. Replying to another question, Dr Alvi said that in order to resolve the issue of missing persons, Prime Minister Imran Khan will fulfill the promise he made to assembly members of Balochistan. Federal Minister Pervez Khattak on this occasion said that for endurance of democracy, it isessential to consult allies and call for their support. According to Pashtun, Baloch and Sindhi traditions, political parties and leaders have to meet for gaining each other’s support, he added.